When we mention to people that we mainly write about responsible tourism, eco hotels and green tours they naturally presume that we like to live in mud huts and not wash for a few weeks. For many people doing the “green thing” conjures up images of old school hippies living on a commune growing mung beans. As Bob Dylan once said, “the times they are a changin”. 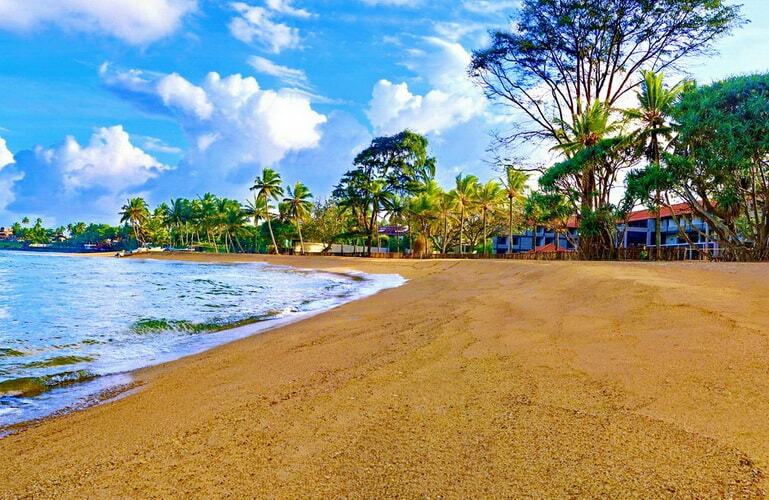 Welcome to the Cinnamon Bey Hotel in Beruwala, Sri Lanka. A 5* hotel that sits on a beautiful beach, has all the modern amenities you expect from a luxury hotel AND is sustainable. I was lucky enough to stay in this beautiful hotel in November. It is has 200 rooms, 9 restaurants and bars, a beautiful spa, swimming pools and a gym. I had a grand tour of the hotel with the assistant manager one evening who was keen to not only show off what you see on the outside but what happens on the inside to make this hotel so special. 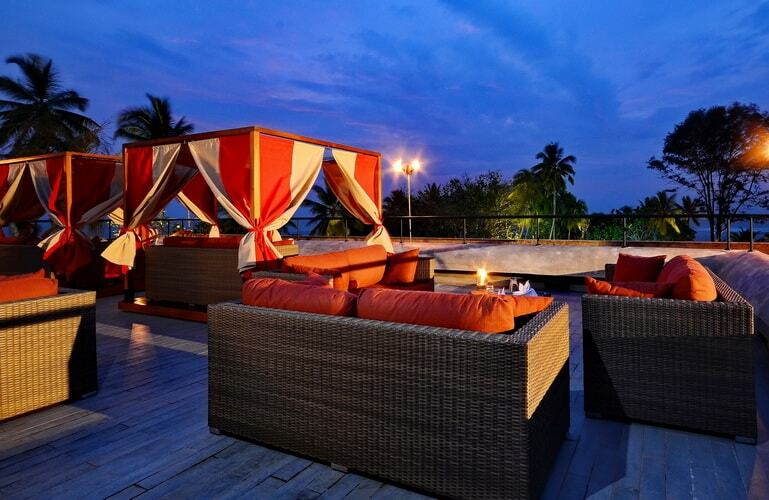 In May 2014 the Cinnamon Bey Hotel became the first Hotel in Sri Lanka to be awarded the LEED V-2009 Gold certification after observing and meeting the expectations of all green standards required of a business entity. Normally this award is handed out to much smaller buildings so it is an amazing achievement from the Cinnamon team to be awarded the gold for such a large building. To achieve such an accolade, the Cinnamon Hotel group could not cut corners and had to do things the hard way but the right way. LEED examined 5 key areas to rate the hotel. 1. Sustainable site development – which looks at the ecological impact of the building. 2. Water savings – Reducing total water usage in the hotel and creating water efficient landscaping for the exterior. 3. Energy efficiency – Checking the energy efficiency of the building and integration of all systems and equipment properly into the building. 4. Materials selection – LEED award points on what green materials have been used in the construction of the hotel and on fixture and fittings in the interior. 5. Indoor environmental quality – Measures taken to prevent air pollution and strategies established to gain more daylight into the complex and less thermal energy. Another point to highlight about the hotel is that most of the staff that work there are from the neighbouring villages, making sure the local economy benefits from the hotel. When we want to book a hotel for our well-earned holiday, we don’t want to be thinking about energy-efficient lighting and rain water harvesting. We are looking for location, comfort and cost. That’s the brilliant thing about staying at a place like the Cinnamon Bey. They have taken the sustainable decision for us so all we have to think about is, shall I order another cocktail? 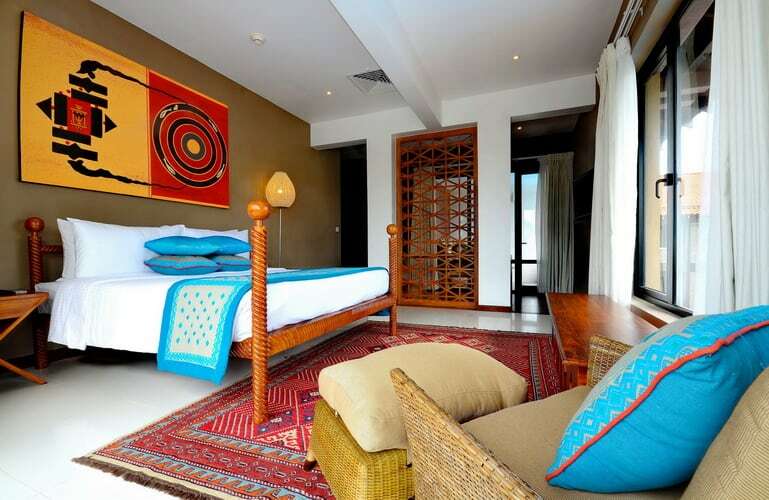 The Cinnamon Bey Hotel is a luxurious hotel that ticks every box and I highly recommend a stay. As you lay on your sun bed soaking up the rays you can feel doubly good as you have made the right choice in every manner. We have to rely on businesses and government to do their bit. It can’t all be on the consumer. For example, 15 years ago, buying fair trade bananas was for a select few. Now every banana sold in British supermarkets is fair trade forcing the consumer to make the right choice. Hopefully in the future, all hotels will mimic the approach of Cinnamon Bey and build for the future. * All images provided by Cinnamon Hotels. 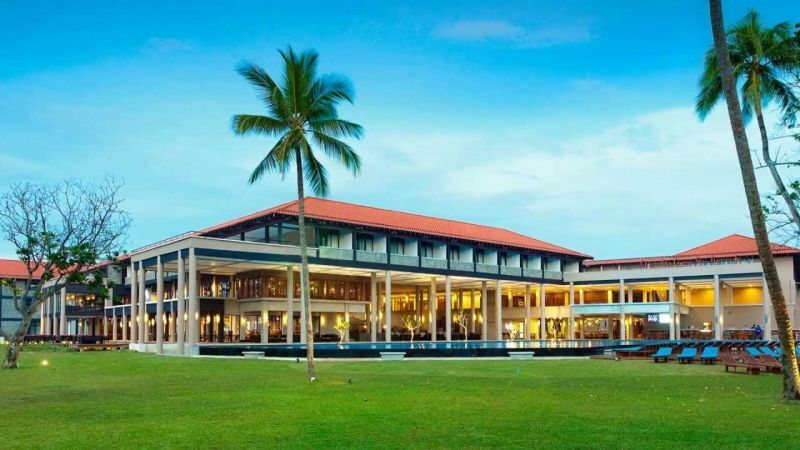 I would like to thank Cinnamon Hotels and Sri Lankan Airlines for inviting me to the beautiful Cinnamon Bey Beruwala. As always, opinions are my own. Cheers Savi! You will not regret it. Enjoy Sri Lanka, we are off there again on Friday!